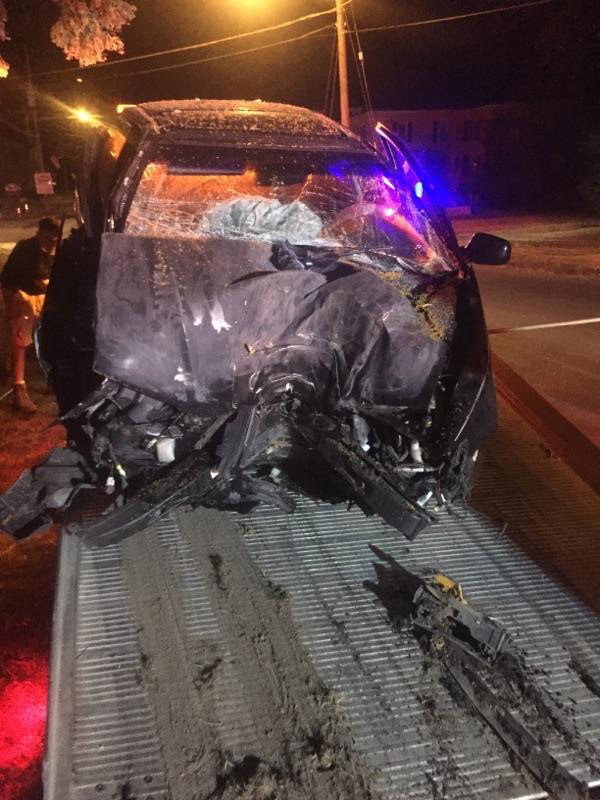 A man swerved and crashed his car into a tree while playing the popular Pokémon Go game. The incident happened Tuesday night in Auburn, N.Y., and it comes as police and transportation departments across the country are warning players to use caution when using the popular new app on their phones. A photo that the police department put out shows a very crushed front end of a car. In Washington, D.C., the game has also created controversy with people playing it at popular tourist sites, including the Holocaust Memorial Museum and at Arlington Cemetery.